You've already mastered iPad essentials. Now, become a bona-fide power-user and transform your iPad into a media center, gaming device, photo and video camera, document editor, and high-powered computer. 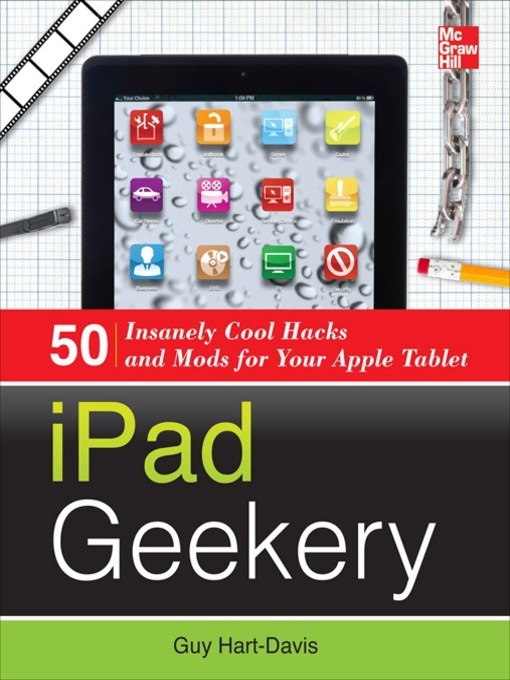 Through easy-to-follow instructions and illustrations, iPad Geekery: 50 Insanely Cool Hacks and Mods for Your Apple Tablet teaches you these expert tricks. You'll also find out how to secure your iPad, protect your personal information, and install apps from any source.